"Understanding Games" (4 Episodes) is not so much a big "G" game, or even a game in any genre, but a game that explains the basic concepts of video games, or how video games work. It's worth "playing through" this tutorial like game for understanding how rules, motivation, goals, conflict, tension, and other basic game mechanics function in a video game. The game maker, MadebyPixelate, made "Understanding Games" for the 2007 Serious Games Conference held in Germany, and won the Serious Games Award 2007 (ok, the game's a bit dated, but it's still seriously good for learning). This fall we are piloting a full semester of Business in World of Warcraft. The reason behind this was to evaluate the use of Games Based Learning in an Intro to Business class and compare with other classes. Below are two students presentations for Project I. This project's purpose has students to provide an executive summary of a virtual business in World of Warcraft. The students and I would love to hear from educators on what they thought of the presentations. I've also pasted a brief description of the project at the bottom of this entry. Your presentation will consists of two parts. The first part is a two to three page executive summary of the business concept you select. The second piece is a 2 to 5 minute screencapture of you presenting your idea. You will need a microphone if you do not have a web camera or built in mic on your computer. Format: Your executive summary should be no more than three (3) pages. These pages should be no more than 1" margins and Times New Roman 12 font. What type of business is it?What is the concept of the business or the entrepreneurial vision of the startup business? What are the primary products and services being offered? How did the idea for the product or business originate? What has been done to develop the idea? How and from which suppliers will raw materials and services be obtained? Who are the customers? Describe them in general. What are their needs and how will the company meet them? How will the customer obtain the products and services? How will the business be run and by whom? What experiences do the owners and managers have that will help the business be successful? Discuss the industry in general and how the industry is doing at this particular point in time. How the industry is projected to perform in the future. Define the target market. Who will purchase the product or service? What are the demographics of the target market? What is important to them: image, quality, price, convenience, etc? How can the business attract them? How will the products and services be sold to the target markets? Which advertising and promotion media will be used? Why? Discuss the pricing structure? What will the margins be? How does the product or service compare with what is offered by the competitors? How do they differ? Why would consumers buy from this company? How will the product or service be produced? Will some work be assigned to subcontractors? How will inventory be controlled? How will supplies or raw materials be controlled? Each entrepreneur will create a 10 slide PowerPoint that addresses the key questions of the Executive Summary. The entrepreneur will then use a screencapture technology to present their PowerPoint and post a URL to the video as part of their dropbox submission. Recommended screencapture technologies are: http://www.screenr.com/, http://www.screencast-o-matic.com/, or Jing. If you have any questions or need additional accommodations, please email me using the classlist tool. This may not be the place, but this is the time that I have. I have lots of work to do yet, as I say, but I am at the point where I need some feedback from some like-minded educators and I know there are lots of those here. There must be something better than Moodle for this kind of course. Since they are mostly youth at risk, my students do not have regular or reliable access to computing (mobile or otherwise) when they are not in the building. As a result, they tend not to be able to access it when most of the work would need to get done. How do I incorporate a leader board and badges into this course (assuming that I leave it on moodle for the time being?) I have found nothing fitting that description in the plugin search. What am I missing? What would you like to see if you were doing this course? Everything this week is coming up GBL. We are at the start of a project to incorporate games and game mechanics into a learning environment for our technology team of about 200 tech savvy, young, male staff. We have all kinds of learning resources, but minimal usage. Monday I read an article that uses a funny acronym MOOC. I go to coursera.org and there is a MOOC on gamification with a tbd start date. So I search and come up with this MOOC starting immediately. Boss says go for it. 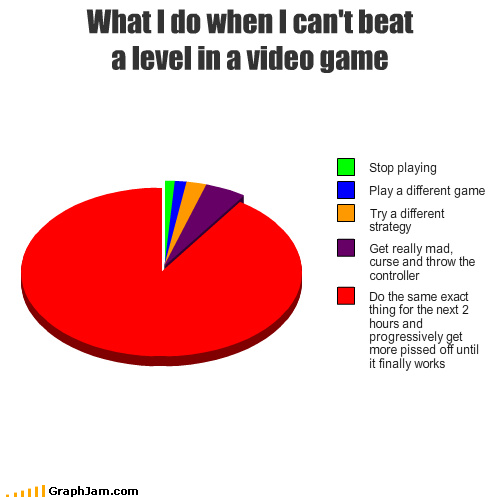 Next day I get an email asking about research on games in learning that leads to some great infographics. A good article appears in training mag that gets my mind sparking. Then I attend a webinar on the tin can API a way we can tie learning activities to/from our lms. What will happen today? To (Virtual) Infinity, and Beyond! For this first week of the MOOC, I'm understanding a lot more than I did in the last iteration. For example, I used to kind of wonder what kind of mania powered the communities that would spring around certain games. When I played the Sims, I saw my sister creating stories using the software. I stumbled upon a role playing sim in Second Life (not that kind, get your mind out of the gutter!) and committed the blunder of actually calling someone by their avatar name without having been formally introduced. I watched my sister play custom missions in the Thief games. "How could they improve a game that was designed by professionals?" I wondered. Passion, that's how. Since I started really looking at games and their surrounding affinity and mod communities, I don't buy or play a game unless it encourages what Jim Gee called the "modder mentality". To paraphrase: "The game design skills of the many outweigh the game design skills of the few." That kind of passion is not found in many places and it's always a delight. It's better than the art that goes over your couch, any day. Today I actively used in the classroom the darfurisdying website for my university students as we had been exploring the International Criminal Court and the great documentary The Reckoning (stream for free with account set up by skylight pictures). The students really didn't understand about the genocide in Darfur, so I thought playing the game live in the smart classroom might help. I got volunteers from the student cohort by offering extra credit and asking each as he or she walked in today "Are you a gaming king/queen?" I asked students to note the survival odds when age and gender were factored in. About 60% of the students did not survive the first water run. The students are doing a simple paper on The Reckoning this week, and I am offering extra credit for those who add a couple of paragraphs about how this game contributed to their understanding of the situation in Darfur. I teach "film as text" and have for several years. I am considering adding "game as text" and other forms of media to my curricular considerations. The Game MOOC is closing up shop for a couple weeks right now. As with past MOOCs lead by Kae Novak and other trustees of the Center4EduPunx I feel that there will continue to be conversations amongst those who really enjoyed the learning so do not feel you need to pause (in game or in learning) until things resume. Keep the conversations going! I know the little micro-GameMOOC group I have been spending time with will continue to share ideas for the next several weeks. Our conversations may move more onto the Edmodo Games group just to have a central area to share from but they will be ongoing! I just left the SL location where Bluebarker Lowtide was sharing his insights about the narrative and what all is involved. Very enlightening and makes sense in the progression of a story. I missed the first part, and then my headphones were not picking up sound in SL, so then I pulled up YouTube for the sound and went into SL to watch. Today concluded the CMSITCON (Tech Conference for our school district). I presented 3 times about Games Based Learning. My presentation is here: http://www.slideshare.net/trishcloud1/games-based-learning-presentation. If anyone sees anything they would like to use in it you are more than welcome. I was talking to an audience made up of teachers and mostly non gamers. So I pretty much had to start from scratch with them. Interestingly enough, a reporter from the public radio station was recording the session. I will be interested to see what becomes of that. A little late, but I wanted to write a quick wrap up of the big thing for each week (in my view of course), from #gamemooc. We have now entered week 5 (of 6) of GameMOOC, and I completely forgot to add a quick synopsis of take-aways for the past couple of weeks (time flies!) So here is a quick synopsis of notable things in these two weeks. Looking forward to weeks 5 and 6 of GameMOOC! For this week I focused on the games that shaped my own worldviews. My personal epistemology? The link leads to a google doc that is open for comments by anyone. I invite your thoughts. Gamification is a Trend, and not a Fad? Although the video shows a "nightmarish" end to gamification, it also answers the question at hand on whether or not gamification is a fad, or a trend that will continue to rise in education. -the process in which representations of things come to replace the things being represented . . . the representations become more important than the "real thing"
The very definition of the real has become: that of which it is possible to give an equivalent reproduction. . . The real is not only what can be reproduced, but that which is always already reproduced: that is the hyperreal. . . which is entirely in simulation. Illusion is no longer possible, because the real is no longer possible. -stage a fake hold up"
Quite interested in your feedback. I wish I had discovered this section of the shivtr before because I have enjoyed reading the entries. However, having just discovered it I am going to copy here my latest blog post about gamification in my field, L2. We are now beginning week 4 of GamesMOOC and I've had an epiphany regarding gamification and language learning. For years I hesitated to include a games mod in my online course because I felt that I didn't have any experience on MMORPGs. However, as I tried out some of the single player games suggested in the GamesMOOC, I realized that for language teachers, the game itself doesn't have to be the where the language learning occurs. The language learning can be before, during or after any game. Actually I had read Kyle Mawer and Graham Stanley's book, Digital Play, and have Mawer's blog of the same name in my RSS feeds. They suggest ways to use many genres of games such as "hidden objects", "dressing up", and "escape the room" for language learning, but I think that I was hung up on the multi-player idea and was blind to other ideas. Lee Sheldon's book The Multiplayer Classroom also discouraged me because the examples of coursework as games was directed at teachers who were real gamers and that's not me! I think that I was under the impression that it was the vocabulary used in the games that would be important for L2 learners, but I have realized that the vocabulary can be pre-taught in the same way as pre-teaching vocabulary before any assignment. What can add to the language learning experience are the pre- and post-game activities which may be oral or written learning tasks about strategies used in the game, obstacles encountered, or whether someone liked the game or not and what could be done to make it more interesting. In the past week of the GamesMOOC, however, guild officers have focused on the elements of a game that make it engaging, the basic game mechanics. I'm going to try to apply the rubric they provided to a number of the games in the Digital Play book and see how they measure up. "Back at the beginning of the month I posted about a Massive Open Online Course on Games-based Learning. The course is running for a total of six weeks and we are now close to the end of week three so it is time for a mid-term paper." By the way, I have been a long time member of NASAGA, the association has been around for 50 years this year and is dedicated to the use of simulations and games for learning. Historically it has been more focused on the face2face forms of simulation, role play, games, and other forms of active learning. Although we are growing in terms of the online gamer membership. Scott Nicholson, another course participant is also a member. Membership is free. Just imagine: Your students refuse to quit a difficult assignment, continue to wrestle with it, until they finally "get" how to solve it. Now, the question remains on exactly how we can gamify an entire curriculum to turn students into stubborn learners, i.e. those who obsess over learning all the course content that we want them to "get." Last week was a pretty interesting week in Games MOOC. The main idea behind the week was to try out some new games and explore the game dynamics. There were a few recommendations, among them RuneScape, a free (or freemium?) online MMORPG. I thought I would give it the "ol' college try" and try out something new, but RuneScape just was not cooperating with me! That, plus I was at the Campus Technology conference (see recent blog posts) so I wasn't really able to really try out RuneScape. Perhaps another time. One of my main issues with RuneScape was that Java was not cooperating with me (so browser version was a no-go) and the downloaded version had some sort of issue where my mouse needed to be x-many pixels south of where I needed to click in order for the click to register (20-30 pixels it seemed). This meant that it was a bit frustrating to even start to explore. Maybe when I get back to it I can use Jing or something to record what's going on and share it. In lieu of an MMO, I decided to finish up L.A. Noire (read all about it here) and to try some new game after that. I did try to go with the "epic" theme and tried Oblivion, a game I borrowed from a friend of mine. I have to say that after that first quest (and 80 gamer points) I saved and quit. It wasn't quite what I was expecting (I was expecting a Diablo Style game) and the front facing hack-n-slash (that would take forever to complete) seemed like not a good game to start at the time. Instead, I tried my hand at Too Human which I quite liked (I am 4.5 hours in thus far). I don't like Asgardian lore more than Elder Scrolls lore (they are both new to me), so I went with the style of game-play that I wanted to explore a bit more. Finally, I did a small comparison between Chocolatier (iOS) and Dinner Dash (iOS). I had played Dinner Dash before, it's a nice game to play when you have a few spare moments, but Chocolatier was new to me. Comparatively speaking, Chocolatier is sort of like a sim-city for the food world. You have to watch your finances, spend money wisely, travel wisely, procure appropriate raw materials, create new product and sell in appropriate places to maximize profits. Reminds me a bit of drug wars from back in the day. Nice game if you are trying to teach management skills to someone young or old. Dinner dash on the other hand is a bit more "fun" and behaviorist in application. Tap here, tap here, wait for stimulus, tap here. There isn't much planning involved. It is fun, but I don't quite see any educational application just yet. So this was it for Week 2. Now entering Week 3 - and we are officially half way through the MOOC! I haven't quite gotten to playing games just yet (runescape is not cooperating with me), but I did read over the text-based materials (thanks to Pocket!) and views the TED talks. This particular one was pretty interesting. The example she gives of Herodotus of the Lydians playing games one day and eating another, thus surviving an 18 year famine by eating on alternative days is quite a nice example of flow. It also ties in nicely with a story I read today of "Death by Diablo" where a teen died, presumably after playing Diablo for 40 hours without break for food or sleep. Maybe he had an underlying condition that precipitated his death - but it seems like even in a state of flow you can't ignore basic needs (water, food, sleep, bathroom breaks) for very long. I watched suggested, purpose created videos and Read some of the suggested blog posts. Eye of the Donkey:- this is a chemistry game created by Nobel Prize Educational. It seeks to teach students about the process and nature of DNA testing. First players sit through an interactive lecture on DNA. The lecturer 'pings' the player to answer the question and will not move on until they do. Next the player is taken into the game where they collect DNA samples and analyze them in a lab. Prompts, notes etc are provided to ensure that the player can succeed. This would be suitable as revisionary exercise for students who are 15 years older whilst studying DNA. Science Students:- I asked around school staff to see who might use these games in class. No-one was currently studying the Vikings. Fortuitously, our year 10 science students were just completing a unit of study on DNA. To my surprise the science teacher showed interest in the Eye of the Donkey and gave it to the students to play today. It was a success! He was really happy with the engagement of the students and the learning experience. They tried to skip the lecture and go straight to the game, but this prevented them from fully playing the game. So, they had to listen to the theory first and then play. It took them approximately 30 minutes to complete. Year 9/10 ICT students:- Today was my first elective class for games based learning. I decided to get my students to play the Vikings Quest and give me feedback. Here is what I heard from one student! Cry of delight on playing the second time. She got 690 points but had still failed to succeed. "I swear I am going to win this game even if it takes me all day" and she did! Another student was successful on the first game and is writing a blog post discussing the choices that she made that allowed her to achieve success. If only we heard such comments from students when they are not successful in their usual school classes. The challenges: - the time commitment, home bandwidth which is too slow watching the longer videos and the fact that the MOOC and some sites were blocked at school. However they were unblocked upon request by technicians.